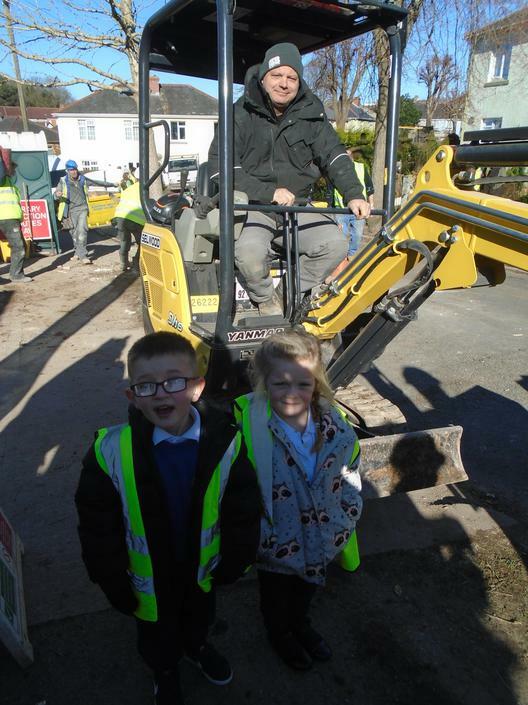 Foundation Stage are learning about 'People Who Help Us' this half term. 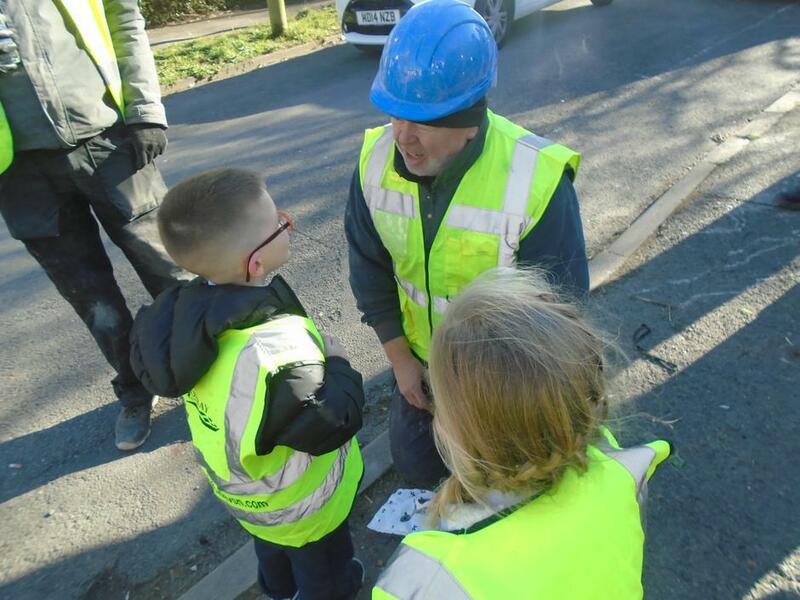 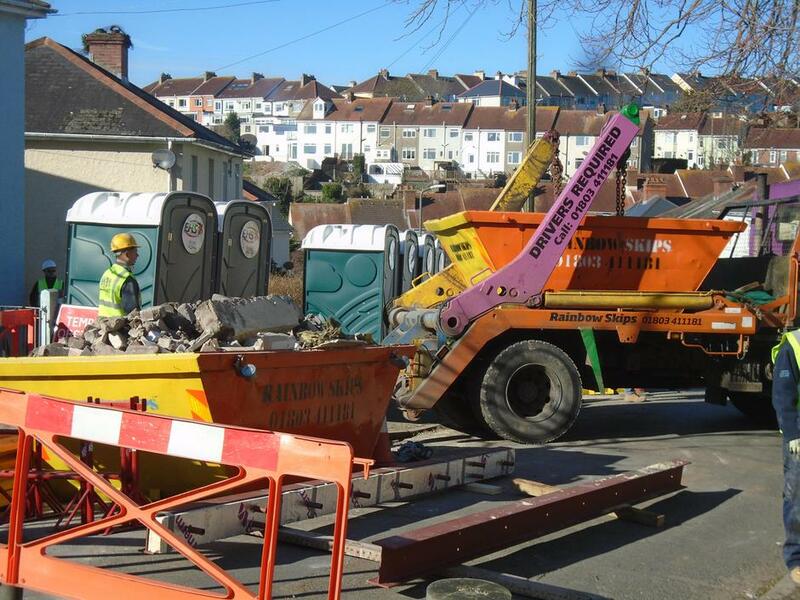 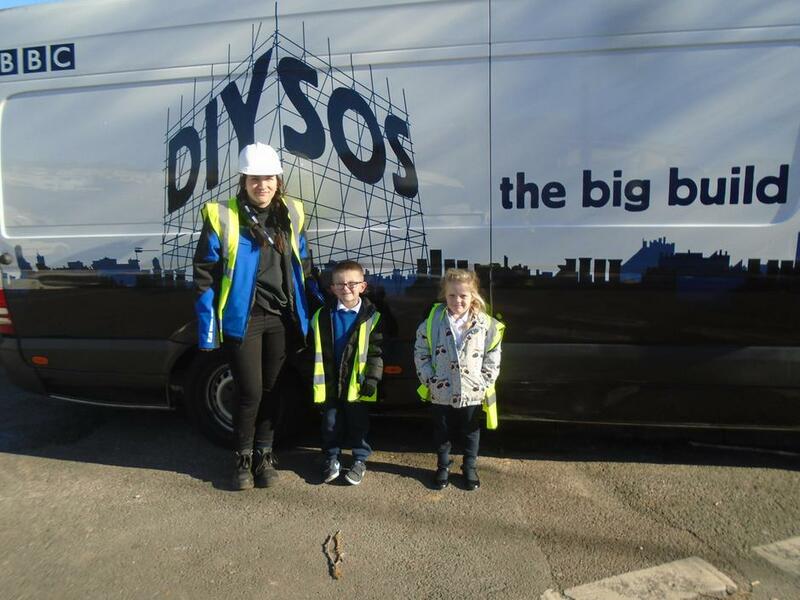 Two children from F2 went with Mrs Bell to see the DIY SOS team, who were working around the corner from school. 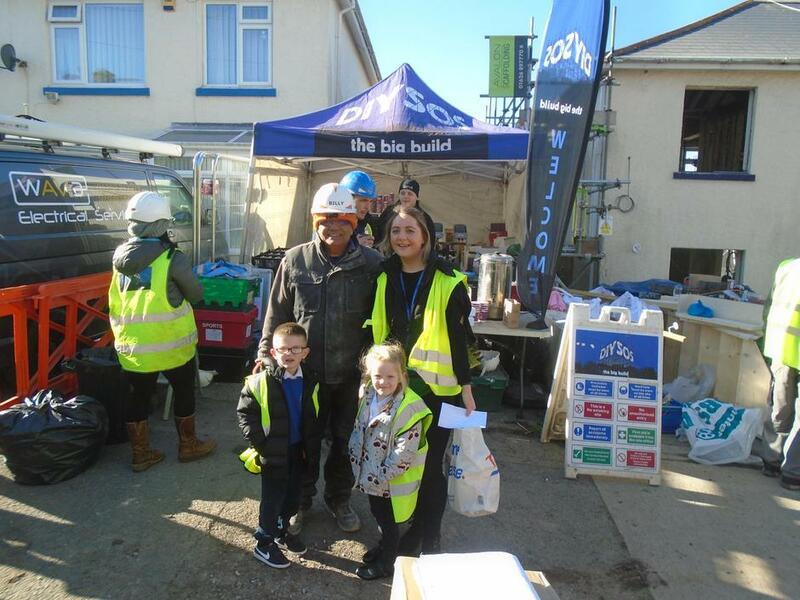 They took some cakes to share amongst the hard working team. 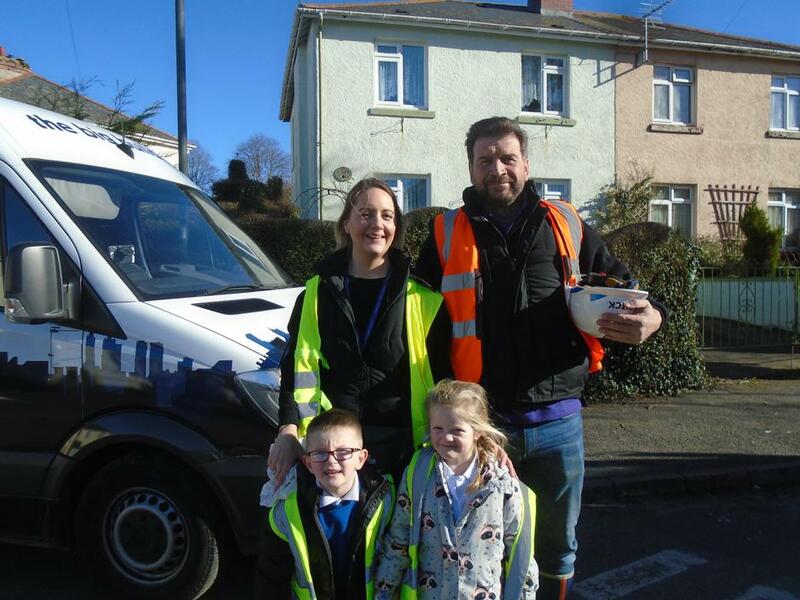 They were very lucky to meet most of the team, including Nick Knowles (Mrs Bell was very excited!). 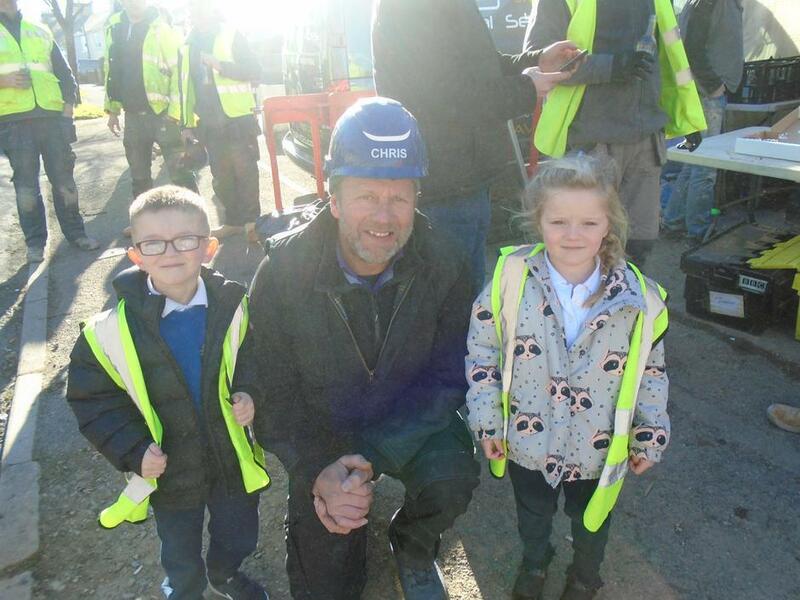 A huge thank you to the BBC production team who made them feel so welcome. 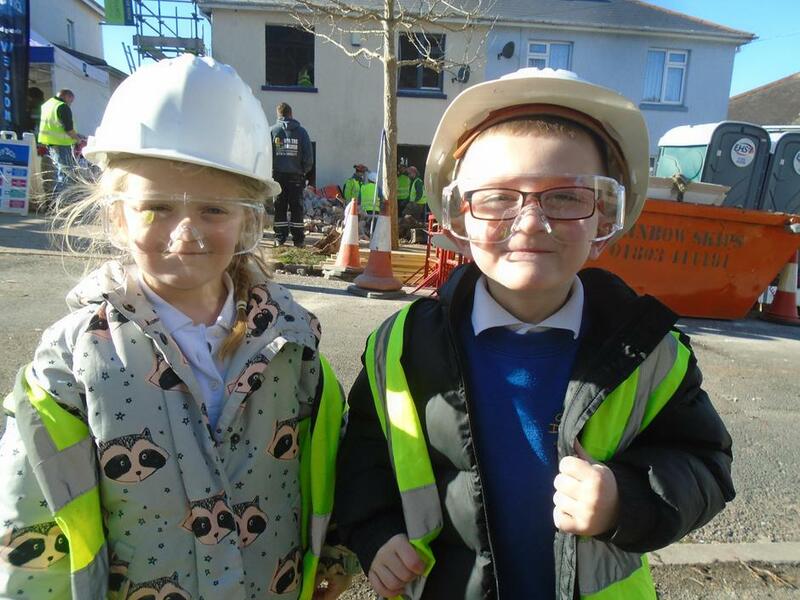 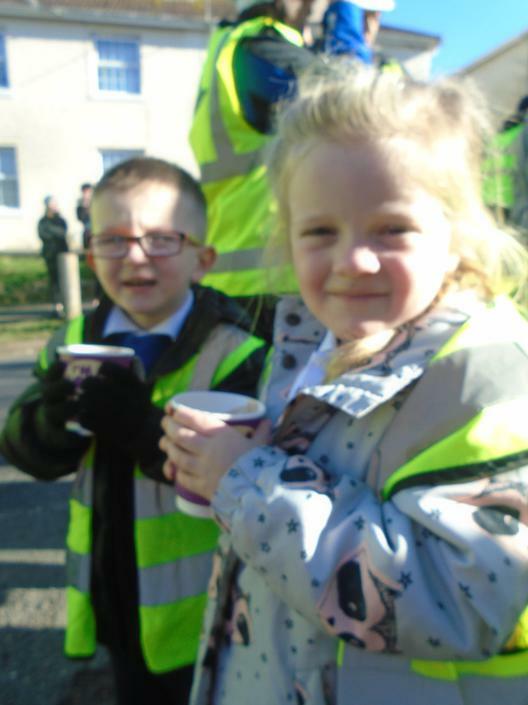 They were given hard hats and protective goggles to wear and had hot chocolate to keep warm, whilst they were shown some of the different jobs that link to people who help us.